Flight. – Life Is Such A Sweet Insanity. 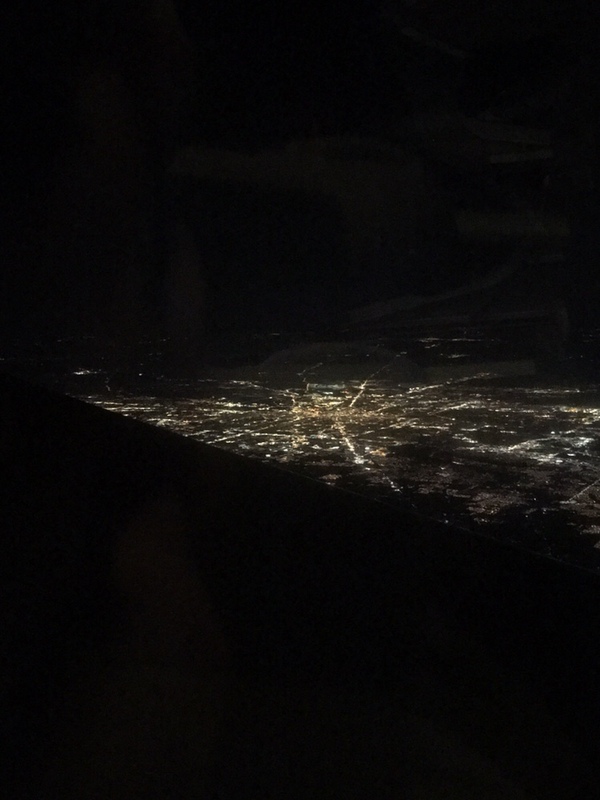 As I gaze down from this commercial flight, looking at Indianapolis from 35,000 feet, I realize that I am not as entrenched in aviation as I want to be. I’m still flying, though airplane rentals are proving to be a little bit more of a challenge than I anticipated them to be in Chicago. I’m firmly committed to an airplane purchase in early 2019 and I’m looking forward to working with Earl on the budget to make that happen. The sky is brilliantly clear as we fly through the early darkness of a Tuesday evening. From up here it’s easy for me to spot the wide selection of Airport Beacons dotting the landscape below. I love flying at night, both as a passenger and a pilot. My last two flights in the rented Cessna 172 have been night flights; my work schedule pretty much makes this a necessity if I fly during the week. Finding the runway of our new home airport in the midst of a sea of suburban lights was a little more of a challenge than I originally anticipated it to be, especially on the night the panel mounted GPS failed. However, I am armed with enough technological gadgets to circumvent this issue in the future. I’m anxious to move to the next chapter of my aviation career, even though my “career” is as a private pilot. My work toward an instrument rating has been stalled a little bit; living in the big city offers a lot of enticements for other activities, but I’m finding my new balance and am getting back to my studies. I don’t want to stop at my instrument rating; I’m ready to continue on from there. But there’s more I want to do the aviation world. I want to bring more awareness to how awesome flight can be. So many people today see flight as a mode of transportation. It’s still nothing short of sheer awesomeness for me. Any seat on an airplane is an awesome. I just need to spend more time in a seat, preferably in the left seat of the flight deck.